Red Onion – protect against heart attacks and strokes? Check the benefits of red onion, which is still on second place after his white fellow in the natural pharmacy, although recent research it ranked ahead of him. It is proved that the red onion contains essential oils and organic acids, which have a beneficial effect for the organism. With milder flavor than white onions, its more easily accepted in raw form and is invaluable for salads and sandwiches. Among the beneficial effect on digestion, increased appetite, increased secretion of gastric juices and enhances the absorption of ingested food, is believed to have anticancer activity, protect from cold and flu, coughs, bronchitis and heart disease, it is useful for the teeth and gums. Red onion prevent the development of cardiovascular diseases. The results of a survey conducted under the direction of Dr. Zhen Yu Chen of the University of Hong Kong showed that this red vegetable often used in Mediterranean and Indian cuisine, helps remove bad cholesterol and protects against heart attacks and strokes. At the same time the red onion retains the level of good cholesterol which has a protective effect on the heart and blood vessels. Scientists have done experiments with hamsters fed with products high in fat two for months. Part of the experimental animals were given a red onion . 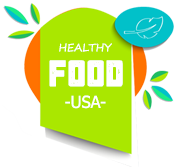 After the period, has been found that in the hamsters that received red onions, bad cholesterol, i low density lipoproteins (LDL), is decreased by an average of 20 percent. 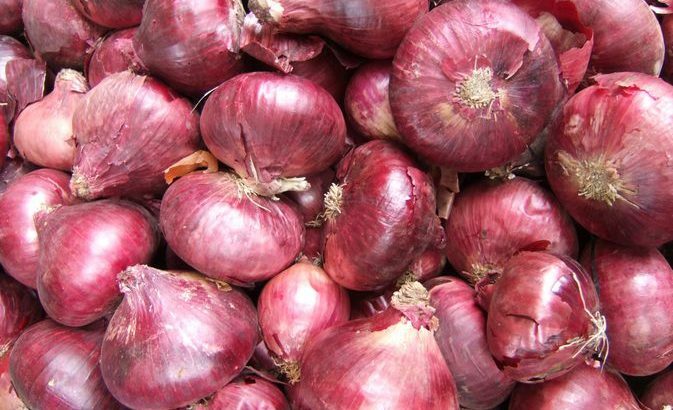 Japanese scientists discovered that for the benefit of anyne is good to eat red onion. It is known that onions contain sulfur compounds (they give its smell). Falling blood in the brain, these compounds rejuvenate its cells and stimulate their work. This contributes to the restoration of human memory and increases susceptibility to positive emotions. This conclusion reached Dutch researchers. According to them hypoallergenic red onions contain therein kevrtseptin – natural antihistamine and anti-inflammatory. Specialists claim that onions contain three times higher quantity of the substance in comparison with kale and 10 times more than broccoli. Experts advise to be taken regularly mess of grated red onion and honey in the ratio 1: 1 especially for people who are predisposed to atherosclerosis. Onion-gruel copper can be used in the dermatological problems – treating pimples, because sulfur-containing substances assist their removal. Prophylaxis of influenza – is recommended inhalations with red onion. The procedure should be done several times a day, inhaling the fumes with freshly grated onion. You have to try this excellent natural remedies for burns!